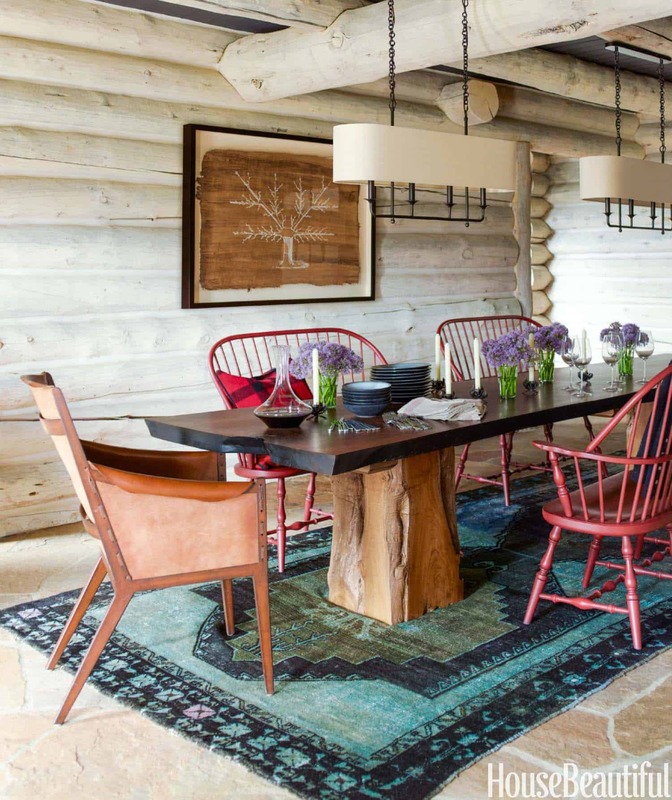 Designer Thom Filicia was responsible for the interior overhaul of this rustic log cabin that is surrounded by mature growth aspen trees in the Rocky Mountains of Vail, Colorado. 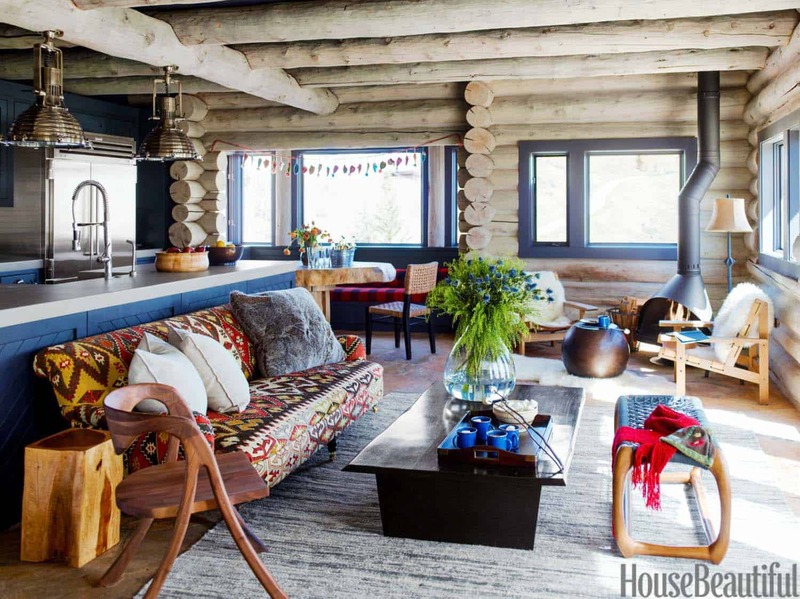 This cozy home is an all-season weekend retreat for a family that resides full-time in Boulder. 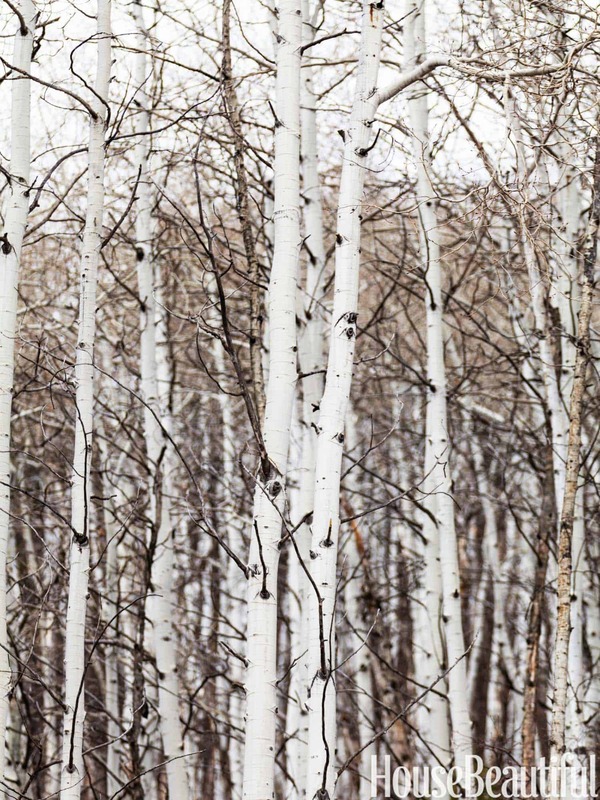 During the winter, they enjoy outdoor activities of skiing, snowboarding, and sledding. While in the summer months, they visit a nearby ranch for horseback riding. Above: A massive stacked stone fireplace in the living room is the grounding element of this space. A cozy furniture arrangement is centered around the fireplace, perfect for keeping warm on a cold winter’s night. A striking twig chandelier was designed by Wish Designs. The ceiling is painted in Day’s End 2133-30 | Benjamin Moore. For the interior decorating scheme, the designer selected some traditional pieces while mixing in eclectic objects from the families extensive travels around the world. 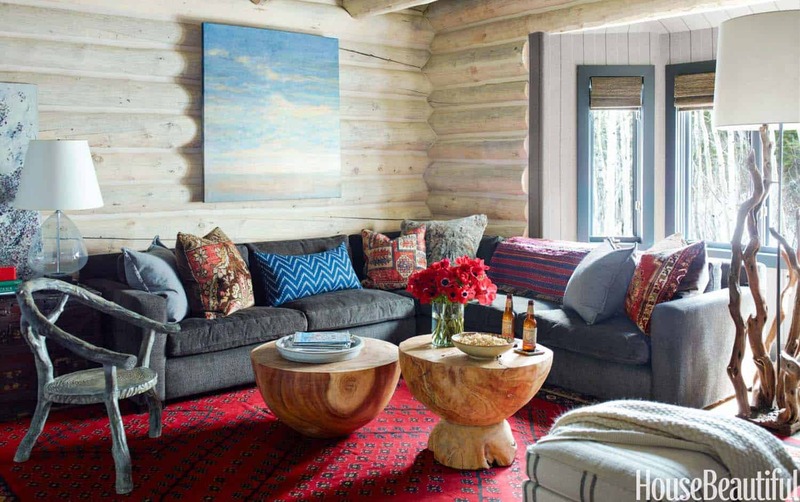 This includes, “a French étagère, a Turkish kilim and an Indonesian rain drum used as a side table.” Not your typical furnishings, but the designer wanted to infuse some fresh ideas to make this home unique. 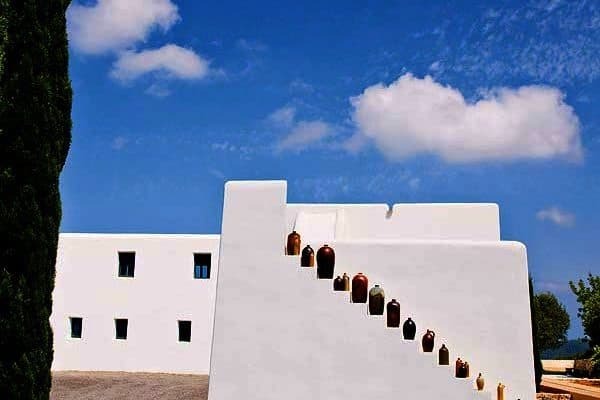 Constructed in the 1990s, the architecture also needed some refreshing. The logs were lightened while the stone floors were sandblasted to remove residual finish. 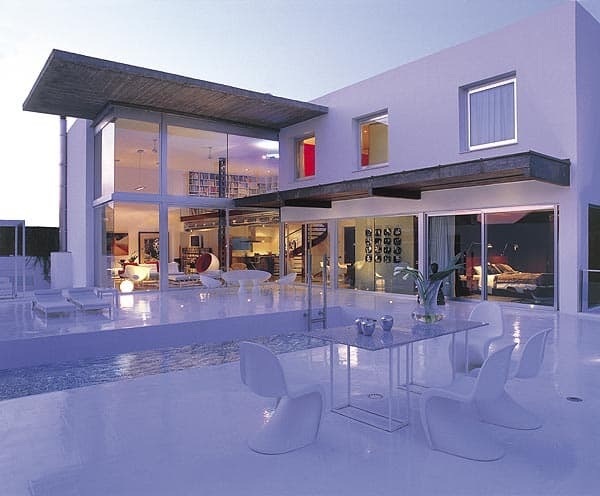 The aesthetic is now more natural, the place feels more crisp and chic. Above: Grounding the living room and adding warmth, texture and color is a Turkish rug sourced from Sacco Carpet. 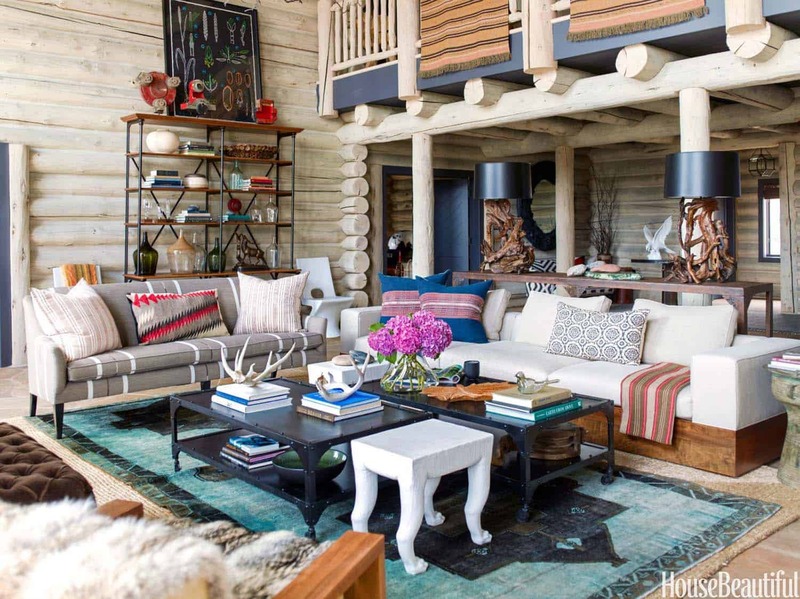 What We Love: This rustic log cabin features cozy furnishings, a layering of textures and plenty of warmth. 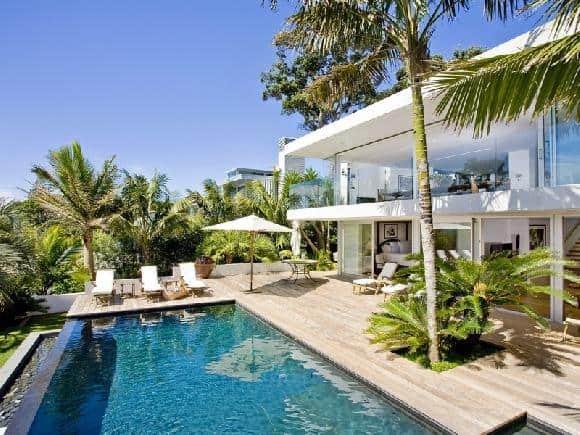 Throughout the interiors you find surprising elements that adds to the uniqueness of this family retreat. Love the pops of color, mix of materials and exquisite light fixtures—the location is not too shabby either!… Readers, please share with us what details in this home caught your eye in the comments below. Above: The kitchen includes a spacious sitting area, perfect for relaxing by the warmth of a modern version of a pot belly stove (a cast-iron wood-burning stove, round with a bulge in the middle). Above: In the kitchen, one side of the wall serves as a bar area. 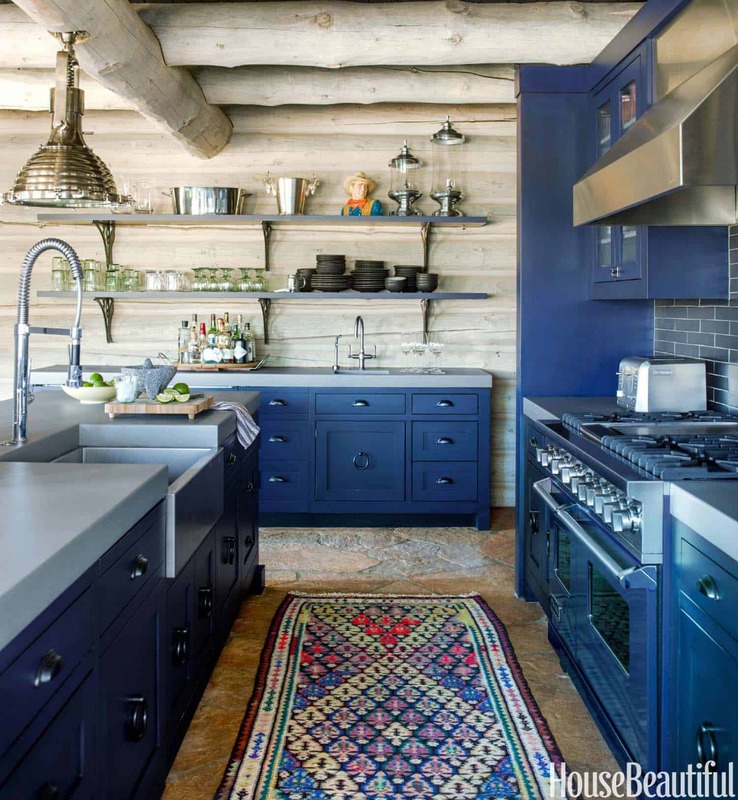 Matching up with the hue of the custom cabinetry is a Cobalt Blue Viking range. The sink faucet is from Dornbracht. Above: The master bedroom feels light and airy thanks to the bed sourced from Brownstone Furniture. Grounding the space is a colorful Indian Woolen Dhurrie Rug, mimicking a modern patchwork quilt—Carpet Culture. 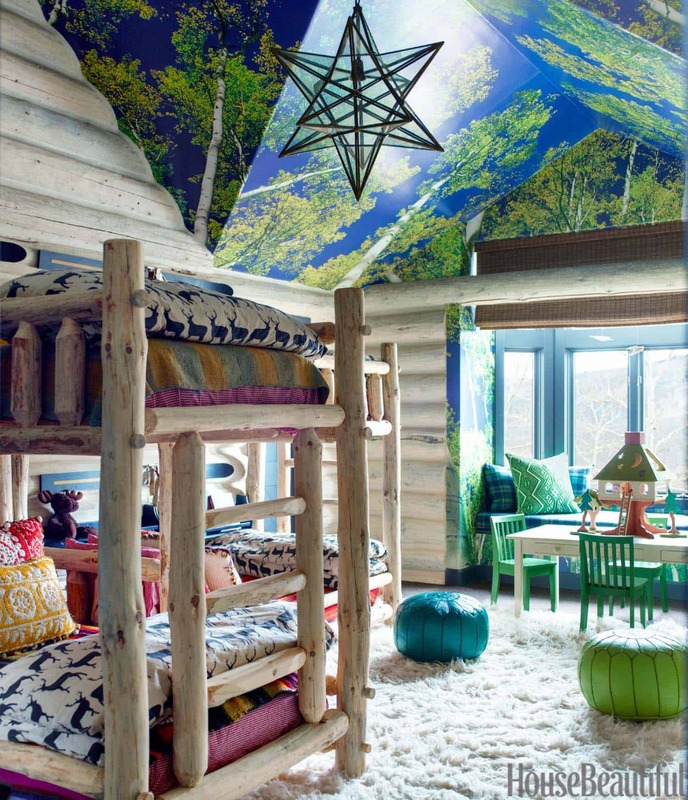 Above: The children’s bunk room adds a touch of fantasy, with a custom mural consisting of a canopy of trees. The star light fixture was sourced from Sedgwick & Brattle, selected to emulate a starry night’s sky. 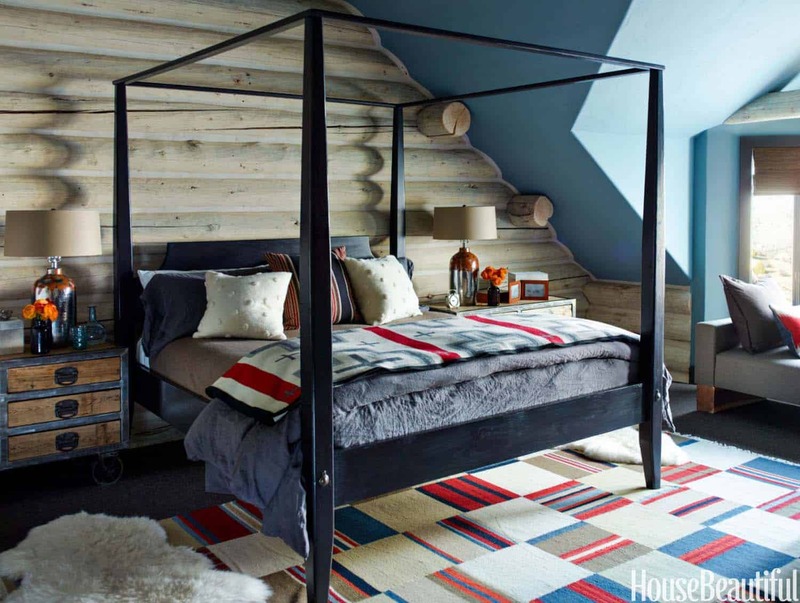 Above: A cozy den provides a comfortable sectional for the family to pile together after a long day of activity. 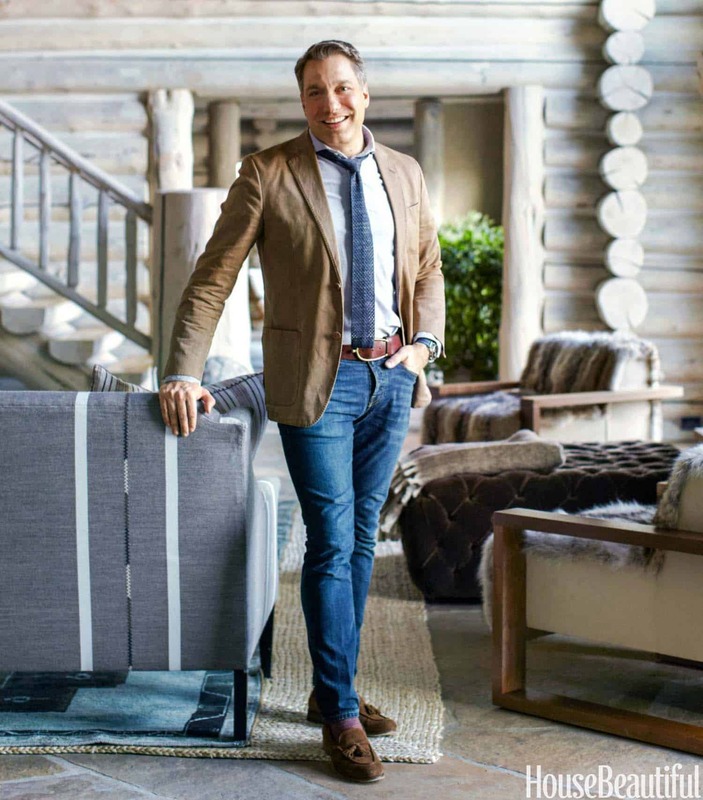 Above: Designer Thom Filicia stands inside this stunning rustic log cabin. 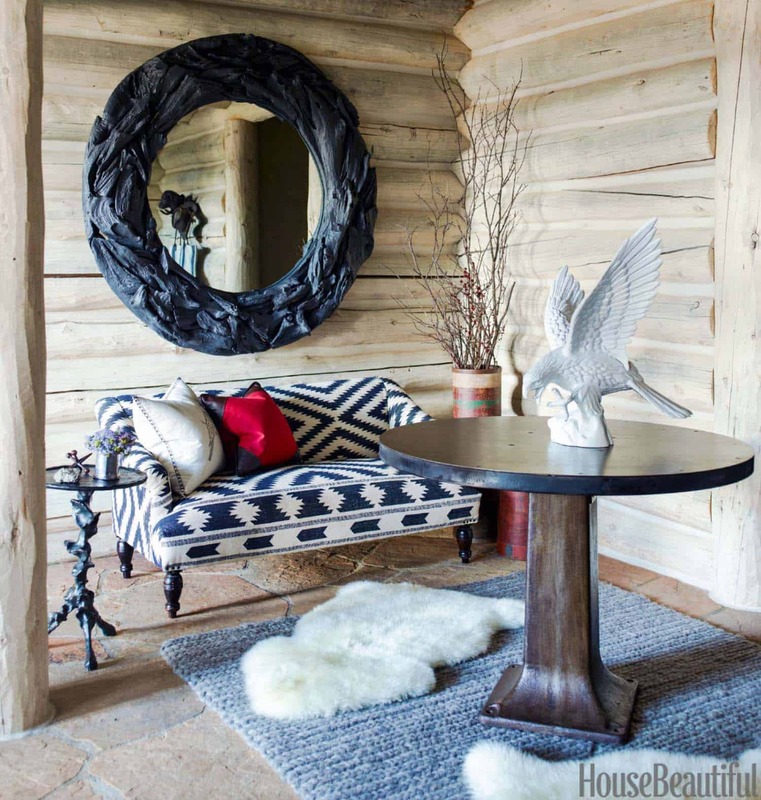 Above: The entryway in the home features a charming sitting area. 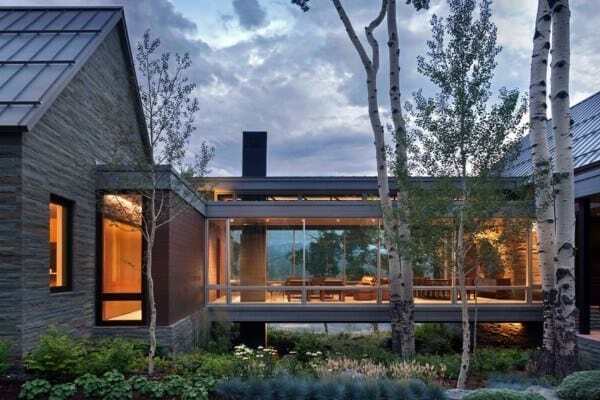 Above: Expansive views through the windows frames snow-covered Aspen trees that surrounds the tranquil property.